Periapical radiolucent lesions: Pulpal Orginis. 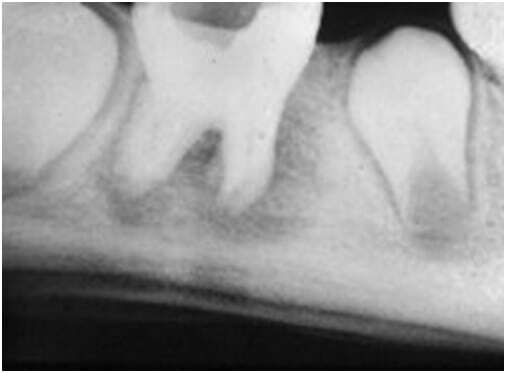 In this Article, we will describe and state a differential diagnosis for the most common Periapical radiolucent lesions that means that the lesion is located in the periapical region and appears radiolucent. This article is similar to Periapical radiolucent lesions: Non-Pulpal Orginis.The diffrence is the origin is pulpal, thus When we say pulpal origins it means the tooth is non-vital. Here are some Case questions :D… try to express the differential diagnosis (at least 3). Periapical: comes from the words peri: around and apical:root. RL: Radiolucent: it express that the region/area/object didn’t absorb the radiation but it’s transparent/translucent thus more radiation reaches the sensor/film leading to a darker area. (Low mineral content: Tissue other than bone). RO: Radiopaque: it express that the region/area/object absorbed the radiation thus less radiation reaches the sensor/film leading to a lighter area. (High Mineral Content: Bones and teeth). Unilucular: From the words uni: means one and lucular means lobes, it means the lesion appears as one mass. Monolucular: From the Words Mono: means multiple. it means the lesions appears as multiple mass in one lesion area. Corticated: means the lesion contains an outer cortex thus it appears with radiopaque outer boarder. Liquid filled cavity lined by epithelium. 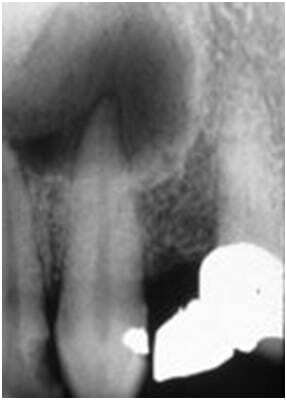 Develops from a pre-existing Periapical Granuloma. 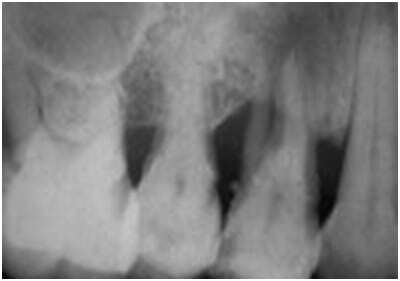 The radio-opaque boarder is continuous with lamina dura of the effected tooth, thus the apex can be identified within the lesion. 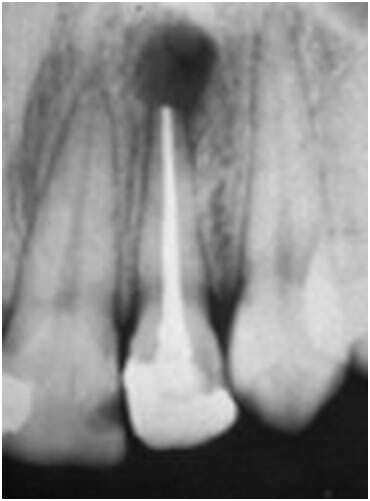 The adjacent teeth can be displaced and rarely resorbed. An area in which it fails in being filled with osseous tissue. Composed of dense fibrous tissue. Situated at apex of Pulp-less tooth. 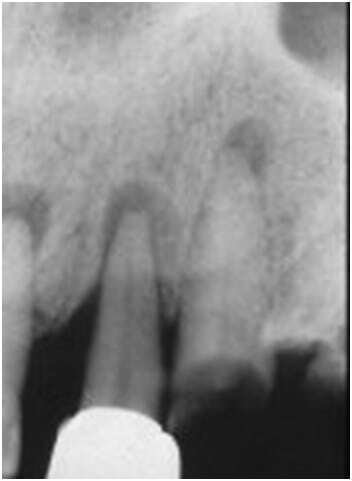 Acute Apical Abscess is -associated with deep carious lesion. Except widening of PDL space. After a week, Further development of the abscess into a diffuse radiolucency may occur. A diffuse Periapical radiolucency of different size. Loss of lamina dura at the apex may be present. An Inflammation of the bone marrow. Usually from dental infection. Answer Question: Peripaical Granuloma, Apical Scar, Surgical Defect.